I have already started on my next project, couldn't keep my hands off. I will stay in the same era for two more garments... You will get to see what it's gonna be next time! Love your dress. It looks great on you. And welcome to blog land. I'll be checking in to see your new creations. Hi! 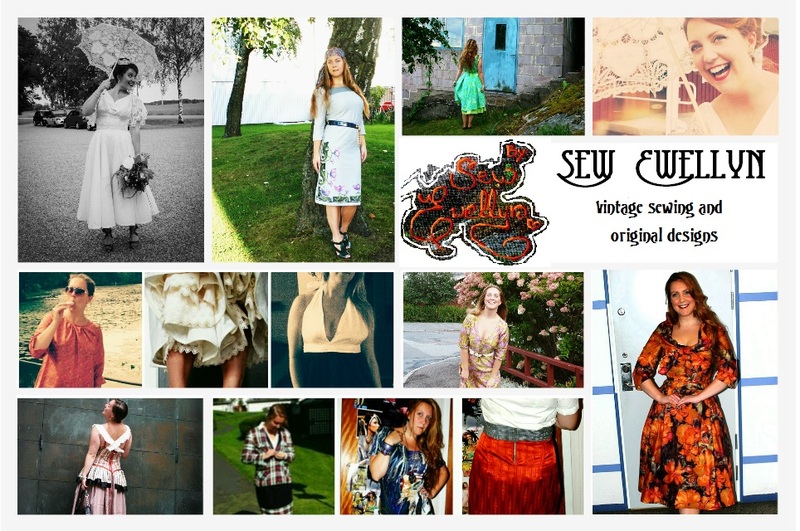 Welcome to sew retro, now I became your follower I'll be waiting your post, I love to "discover" new blogs about sewing. You did a great job and your shoes are perfect for the dress! Pretty Girls Rock Dresses Star of the Day! Made the muslin work... then made a dress! Matching jacket for my 30's pants! Finally the pants are done! Book about pattern cutting plus new dress plans! Project 70's shirt dress almost done!